In February, we posted a teardown that revealed audio quality controls for YouTube Music Premium much like those in Google Play Music. The settings remained inaccessible, however, until an app update on Friday, Sept. 21st. 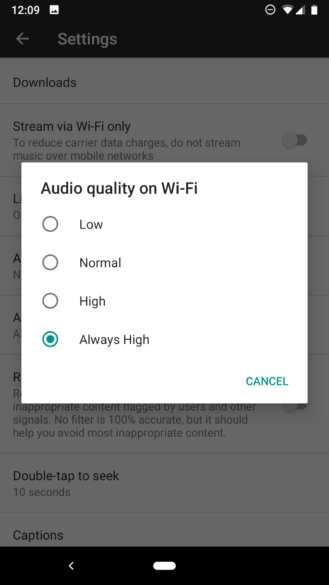 YouTube Music Premium users can now set the quality for audio downloads for both wifi and mobile data. These controls mirror the options available in Play Music, which have been available for nearly two years. 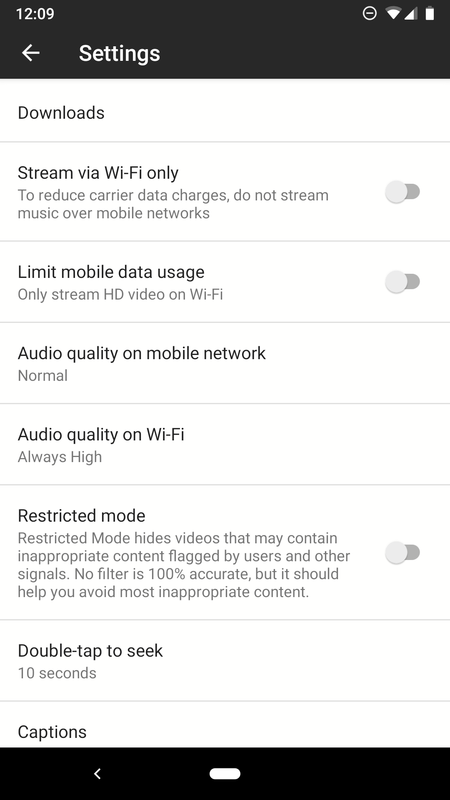 The new settings in YouTube Music Premium. While Google confirmed Play Music would merge with YouTube Premium (formerly YouTube Red) in July 2017, we’ve seen little indication of when that merge will occur. The YouTube Music Product Team was available to answer this question and many others in the Google Community forums on Sept. 21. According to Brandon Bilinski, a YouTube Music product manager, there is currently no timeline for the merger. The goal is a “phased migration,” he said, with users moving non-uploaded content first, followed by uploads. 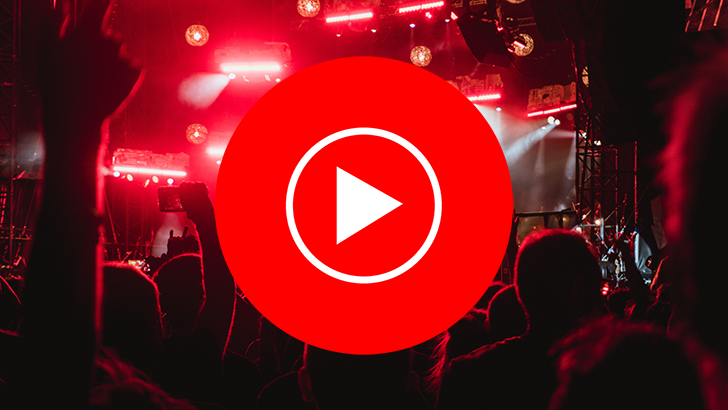 Currently, the product team is working to ensure YouTube Music supports the features of Play Music, a goal evidenced by the addition of audio quality controls. The ultimate aim, Bilinski said, is to create a seamless, one-click transition where Play Music playlists, favorite artists, and thumbs ups are all merged or added without losing functionality. Gapless playback, essential for enjoying Dark Side of the Moon, is another feature the YouTube Music team is working on, but currently has no timeline for release, according to Jenny P., a product specialist. Bilinski also addressed the perception that iOS receives “better updates” over Android. iOS had already received audio quality controls, for example. A bug affecting only Android was discovered when rolling out the feature, Bilinski explained. Simultaneous launches across both operating systems will become more common. Some users have noticed gaps in the music offerings between Play Music and YouTube Music and are understandably concerned. The team is working with those artists to bring their music to YouTube Music and ensure a seamless transition when the services merge. Bilinski also pointed out that artists and their labels ultimately decide whether or not to make their music Premium-only. The YouTube music team has no say in this decision. Smaller features coming soon include a long-held cache like that of Play Music. Currently, YouTube Music only caches the next song. Following the launch of a rich desktop web player this year, Bilinski said there are no plans for releasing a desktop YouTube Music application. Features are in development to make the web client feel like a desktop app, such as media key support. It’s clear from the question-and-answer session that the product team is aware of the many long-standing issues facing YouTube Music. Let’s hope for more news soon so we can fully enjoy Pink Floyd.